Like with any animal it is wise to redirect bad behavior and reward good disciplined behavior. Scratching habits are the perfect example to execute these concepts for your feline family member. When kitty is destructively scratching on the back of your sofa to manicure her nails, she has to be trained that her behavior in that spot is not acceptable. Don’t punish your cat for innate behavior such as scratching. She or he is just doing what nature deems appropriate and necessary. As a cat owner you don’t want to scare or create an anxious pet. Instead, you need to trick your cat into changing his/her habits. As a deterrent a good squirt of water will give kitty the message to stay away from that area. Ultimately, as a cat mamma, you need to provide a proper alternative to the naughty scratching area. Purchase a few scratching posts that you can place in your home in various convenient accessible locations. Make sure you are choosing proper tower height for your size and ability of cat. Not all posts are the same. One that has secure sissel rope and is not to short of tall in height are things to consider when purchasing or constructing. Good and proper behavior should be acknowledged with words and tones of praise and petting, hugs and kisses, treats and toys. If your cat doesn’t catch on to using the scratching post then there are alternative options that do exist. Clip your cats nails to prevent further damage to your furniture. This can be done with cat snipping scissors that are found at any pet store for a nominal price. There is no discomfort to the cat when their nails are clipped if done properly. 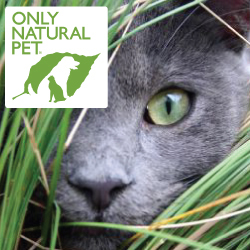 If your cat is an outdoor creature, then you may not want to cut its nails because of its need to use them when climbing and defending itself in the wild. Purchase nail caps from your pet store. The caps are small plastic covers that go over the nail and are secured with a special glue that comes in the kit. If kitty tolerates it, this alternative may work.